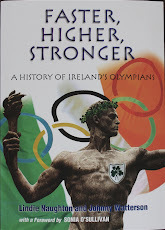 Irish Olympians - Faster, Higher, Stronger: Should We Fund Olympic Sport? Of course the skills and achievements of our Olympians should be recognised but maybe the cost is too high. I think it's best if I set out my stall straight away: I find the Olympics to be an absolutely monumental bore. It's not so much the countless revelations of drug taking/cheating; the rampant commercialism that is so removed from the original Olympics ideals or the ludicrous proposition of having tennis players or footballers at the games when winning a gold medal is, at most, going to be a footnote in their careers that have turned me off – although these factors have done much to undermine the so-called biggest sporting event on the planet. To be fair, there's no doubting the brilliance of the athletes involved. Not just the likes of Michael Phelps, with his bulging pockets of gold medals, but pretty much everybody who is competing. And it's also possible to recognise that achievement while still questioning whether it's the role of the taxpayer to fund their very personal bid for Olympic glory. Over the past four years, the Irish taxpayer has forked out over €30m to help finance our elite Olympic athletes, without any cost benefit analysis or debate as to whether or not this is money well spent. Even if the Irish team does succeed in bringing home medals, the question as to whether this outlay of €30m-plus is a good use of taxpayers' money is still just as legitimate. By giving money to elite athletes, isn't it less about investing in sport and more about investing in the individual dreams and goals of a small number of citizens? The case for investing in elite athletes, as opposed to PE teachers, swimming pools, football pitches, basketball courts etc, is much less clear. Research shows that, on average, each gold medal costs €25m while, in general, the average cost of a medal is €5.4m – and there is no evidence to show that the success of athletes at the highest level promotes wider participation in sport. A 1996 study by the University of South Australia found no statistical or causal link between the two. This raises the obvious question as to whether this money might be more productively used elsewhere. It is, of course, the absolute right of any person to aim to be the best in their particular field or sport, but is it really the duty of the state to subsidise their bid for 'excellence', particularly when it comes at the expense of measures that benefit the wider community? In the US, which at the time of writing had won more medals than any other country, there is no public funding of Olympic teams. Financing comes from corporate, community or private sources. An Olympic gold medal does create a national feel-good factor, but so would winning the Eurovison song contest. A country that affirms itself by sporting success is hardly one in which any sane citizen would want to live – remember East Germany? And, while we want our children to participate in sports, it is surely questionable whether we should want them to strive to be Olympians. While I'll happily stand at the sideline on a freezing cold winter Saturday morning at our local GAA club, I don't really want my children getting up at 4.30am five mornings a week to train in the swimming pool in a bid for Olympic glory. It's not the almost certain futility of that bid for glory that I have the problem with – there is nothing wrong with striving and falling short – it's the strong doubts I have as to whether the price for those efforts is worth paying. As taxpayers, we should be asking the same question about our funding of elite athletes.